.ikcha. handcrafted jewelry: 5 days of deals! Ready for Christmas? Are you starting to look for your presents? 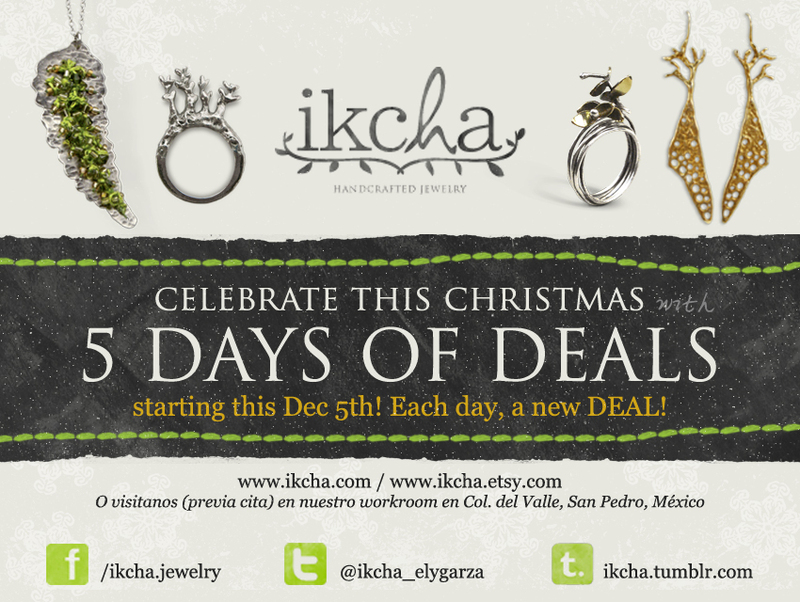 This is the best time at Ikcha online store (and also the workroom in Monterrey, Mexico). Starting on December 5th, each day I will present different deals valid only that day, so stay tunned! And spread the word!